World leading Website Design and UX to Life Science and Biotech businesses. Does your business offer a complex range of products and services to multiple audiences? Are you in the Biotech, Life Science, Pharma, Medical Devices, Lab Equipment, Science, Geology and Energy sectors? Is it hard to interpret what you do in a few words and to convey it clearly and succinctly to your audience? 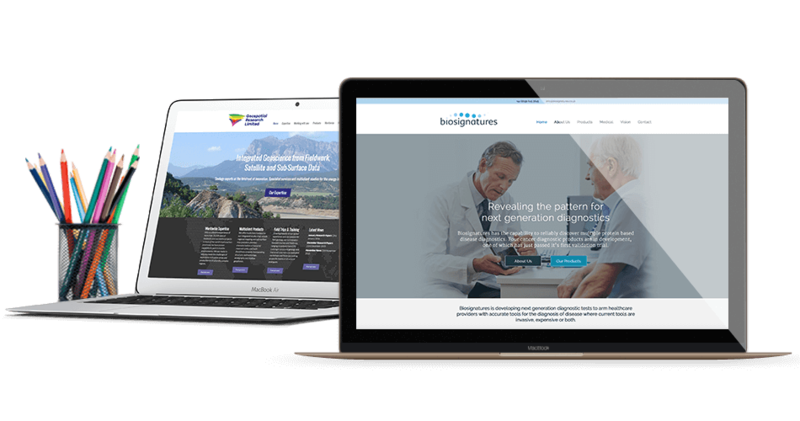 As the UK's leading Website Consultants, we specialise in web design, UX and digital strategy for the Biotechnology, Life Science, Medical Devices, Lab Equipment, Energy and Pharmaceuticals sectors. In the distillation of complicated and multi-layered sales messages and promotions online. We’ll break through the noise to bring clarity and a certain elegant simplicity to your website. We plan, design and build fully optimised; lead generation focused websites as standard. Search Optimised Content and Copywriting to make sure both Google and your customers can find you online. Our Case Studies showcase a small selection. We can supply additional website project examples on request. Read about the outstanding results we deliver for our clients. You benefit from our many years of web design experience and a collective of highly skilled specialists who will deliver your project quickly and efficiently. Fill out the form for your FREE, no obligation, website performance review. A microscopic review of your website. Find out the improvements you need to make on your website to generate the sales, leads and prospects you need. We are a world leading Biotech and Life Science Sector Web Design Agency based in the UK. Your Life Science and Biotech business website could be reaching further and delivering a significant ROI. We’ll run a full Website UX and Conversion Audit for your online business, highlighting where and how your life science website could be working harder for you. Then work with you to build your authority, connect with your audience, sell more and drive investment. 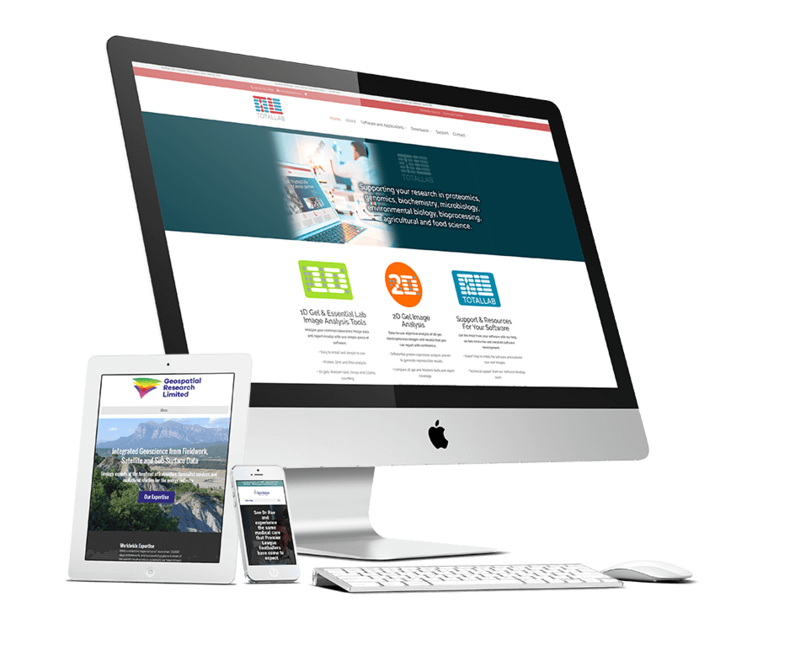 Website Design – Development – Support. As specialists working with global Biotech and Life Science Sectors We provide website consultancy and design. Your website is your #1 marketing asset, and we make sure you get it right from the start. The biggest part of a web project is often the planning and discovery, especially when your business involves complex products and services. As a first step, we’ll work closely with you to identify your messages, aims and goals. And then together we’ll develop and design a science website that delivers. We’ll work hard to help you to shape your services in a way that’s clear and easy for your online customers to understand, in keeping with industry best practices. Then we’ll take your business online, with a winning combination of distinctive design flair and engage relevant copywriting. Unlimited Priority Support for your Website and Online Marketing, ask about our Website Care Plans and Client Success Programmes designed to offer you Peace of Mind and the assurance that you have a skilled partner who can help you achieve your online objectives. We care about every life science website we create, which means we're here to support you now and into the future. Biotech and Life Science Board Level Digital Strategy. Our monthly goal-driven client success programmes are designed to track, monitor and provide insight around all of your online marketing. We’ll help you to use targeted traffic and authority driving Email Marketing, Beautiful Landing Pages with Effective Funnels, High Performing Lead Magnets, Search Engine Optimisation, information architecture and Unique Content Creation to attract new prospects and engage a loyal audience. Build trust, increase your authority and watch your life science business grow.